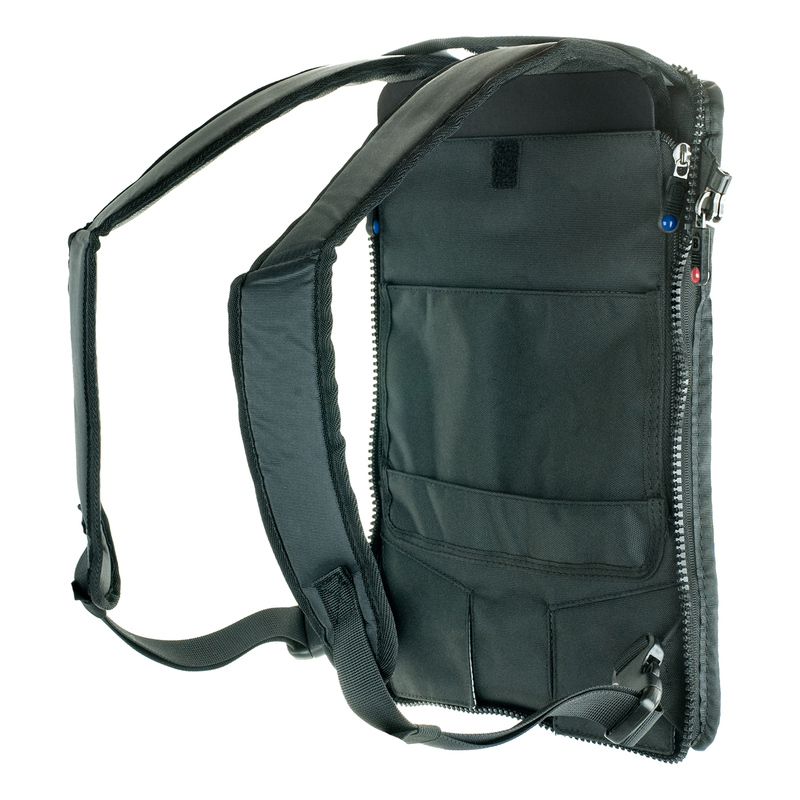 A specialized Rear End Cap that has Back Pack Straps built in. 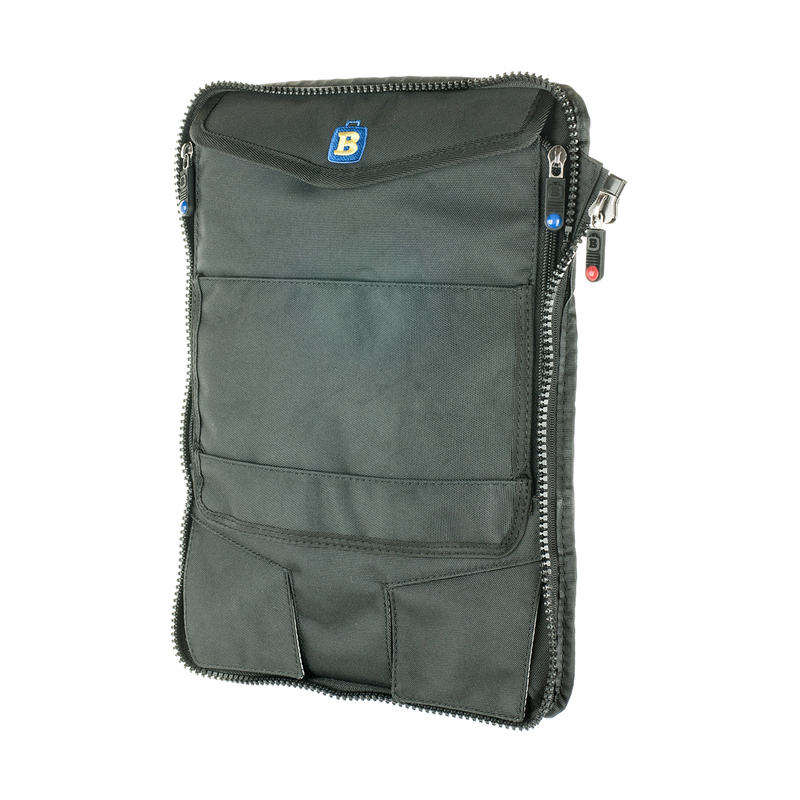 Carry your smaller configurations (B2 or B4) hands-free. Stow the straps when you don't need them. This End Cap has backpack straps built in, but doesn’t look like a backpack when the straps are not in use. It's easy to deploy the straps in less than 20 seconds. And then it's easy to stow them when you don't need them. 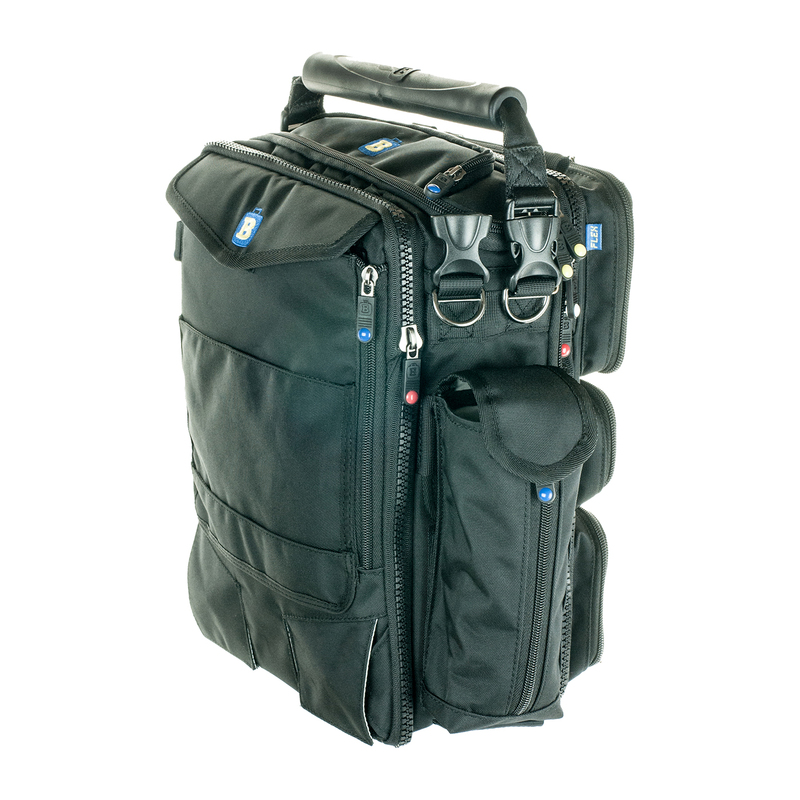 Now you have the ability to throw your (small) BrightLine Bag onto your back and use both shoulders to carry the load and be hands free when necessary. But there are obvious limitations. 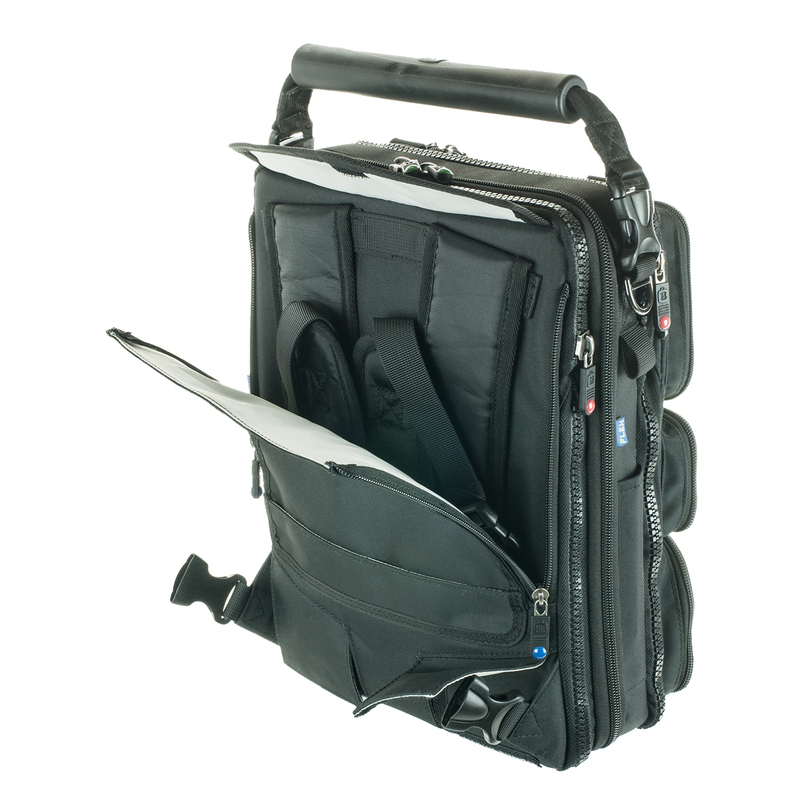 And because of these unavoidable limitations, we're referring to this as "The World’s Most Adequate Backpack”. We do not want people to start expecting that this new component is going to allow them to replace any normal backpack they may currently be using. But this new PACK CAP REAR will make it great for getting down Terminal C hands-free, or from their car, out across the tarmac to their plane. The first limitation is that the BrightLine Bag, to start with, is a pretty short bag. It’s only 13.5” tall. Most backpacks are much taller than that because it’s pretty far from the top of most people’s shoulders to a place near their waist line. So this PACK CAP REAR makes the BrightLine Bag into a very short backpack. If you’re tall then the bottom of the bag is going to hit you pretty high in the middle of your back. But if you’re a small person, then this setup will probably work much better. You will probably still use the SHOULDER STRAP most of the time, but there are times where it’s great to be able to whip out the backpack straps and put your BrightLine Bag onto both shoulders and be hands-free. The second limitation is that it really only makes sense to use this new PACK CAP REAR with narrow configurations like the B0, B2, and B4. Nothing bigger than that will work. 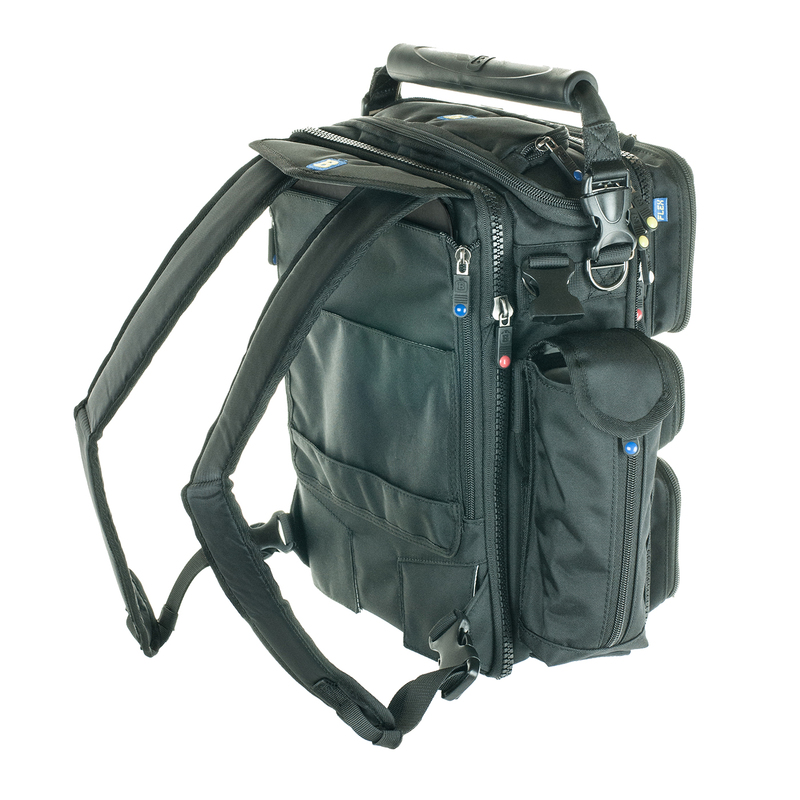 If you tried to put a B7 FLIGHT configuration on your back, the length of the bag would cause it to cantilever away from your back and it would hang down hard and try to pull you over backwards. But for the smaller configurations, it’s hard to beat.